A Spice Trekker blend and one of our best sellers. 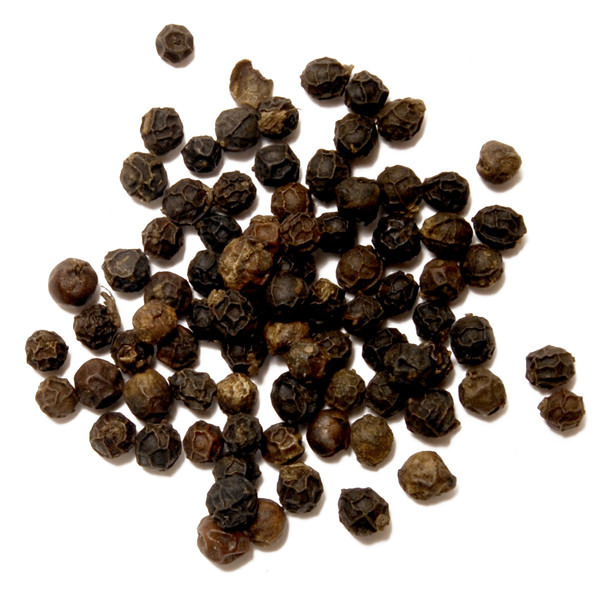 Eight Pepper Blend is very rich, flavorful and perfectly balanced – the fruit of innumerable tests and refinements. 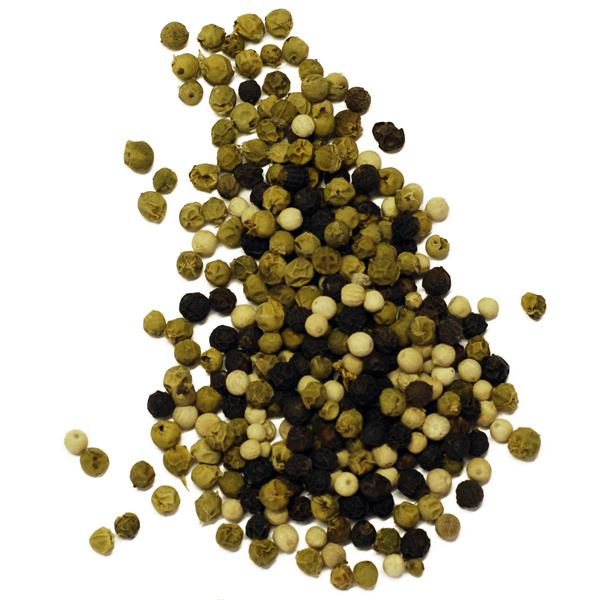 Its heat matches regular pepper, making it an ideal all-purpose pepper blend. 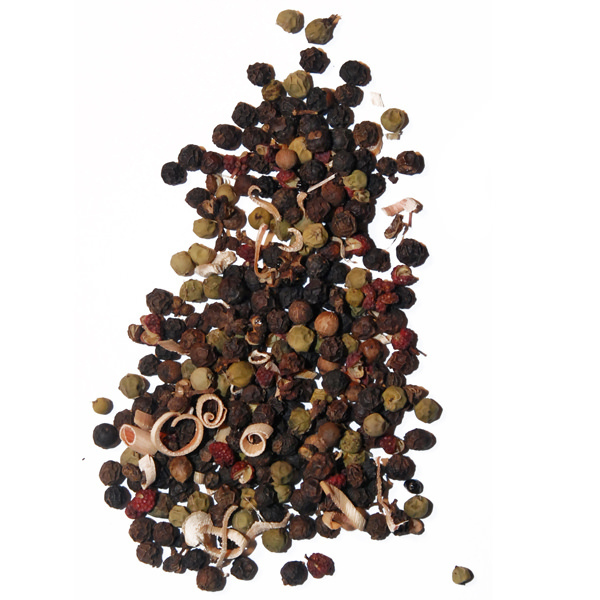 Conventional pepper blends are little more than color combinations. Not this one. This blend is the delightful result of a delicate balancing act aimed squarely at flavor. 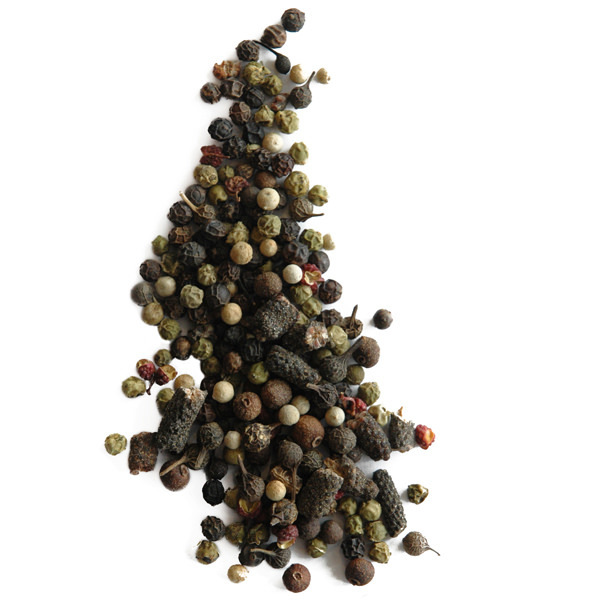 Comprising a careful balance of Tribal green, Tellicherry black and Indonesian white peppers as well as Indian Long pepper, Guinea pepper and the highly fragrant Imperial Sichuan, Voatisperifery and Cubeb peppers. This intricate blend is appreciated by our customers for its versatility and has become an everyday pepper in many of their households. Eight Pepper Blend is engineered for use in all pepper mills.